Vodafone Protect and Connect is the new name for Cobra Track Plus and Cobra Track 5. In the early stages of 2016 Vodafone acquired the prestigious vehicle security manufacturer and quickly set about making already great products even better. First up was the Cobra Track plus which has now been superseded by the Protect and Connect 6 and sees the unit size dramatically reduced for a much more covert installation and the added benefit of a free app to allow location reporting of your vehicle at the push of a button. Passing through Thatcham with flying colours and approved by all insurance companies it is now available for installation to vehicles of all types. The attention of Vodafone Automotive then turned to the Cobra Track 5, which is now revamped and known as the Protect and Connect 5. Again with a smaller ecu aiding for covert installations extended range on driver ID cards and again has the ability to give on demand location reporting via the Smartphone app. As with the Protect and Connect 6, the Protect and Connect 5 passed through Thatcham gaining TQA status and insurance approval. 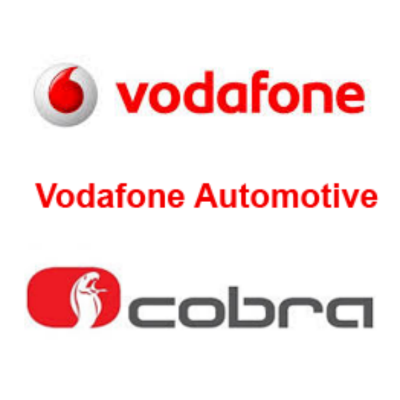 Many vehicle manufacturers for installation to their vehicles including VW, Audi, Mitsubishi, Skoda, Seat, Ferrari, Porsche, Lamborghini, Rolls Royce, and many others approve Vodafone Protect and Connect 5 & 6. Vodafone Protect & Connect 6 and Vodafone Protect & Connect 5 are available with app and web functionality. Both are user friendly applications that gives owners the ability to obtain a pinpoint location for their vehicle(s) on demand, including the powerful key facility of setting a geofence zone. Receive an immediate SMS alert with the web function or an in app notification when using the My Connected Car App, should a vehicle leave the pre-set area. Download the ‘My Connected Car’ app from either IOS or Android now to try the demo version. For answers to your questions or details of arranging the fitting of the Vodafone Protect and Connect 5 or Protect and Connect 6 in the Yorkshire area please feel free to contact us. Our mobile installation service covers Leeds, Bradford, Guisley, Harrogate, Wakefield, Sheffield, Castleford, Doncaster, York, Hull and all areas in between with visits to your home or work available.